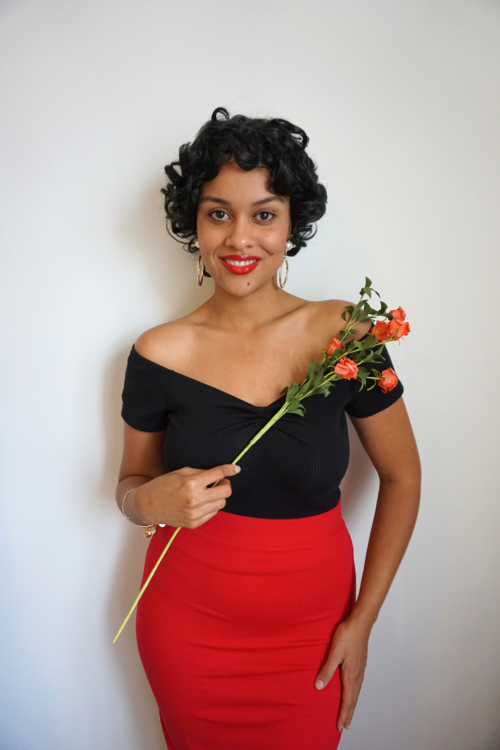 If you’re pulling together a last minute costume and want to keep cost low, using items from your wardrobe is the way to go! 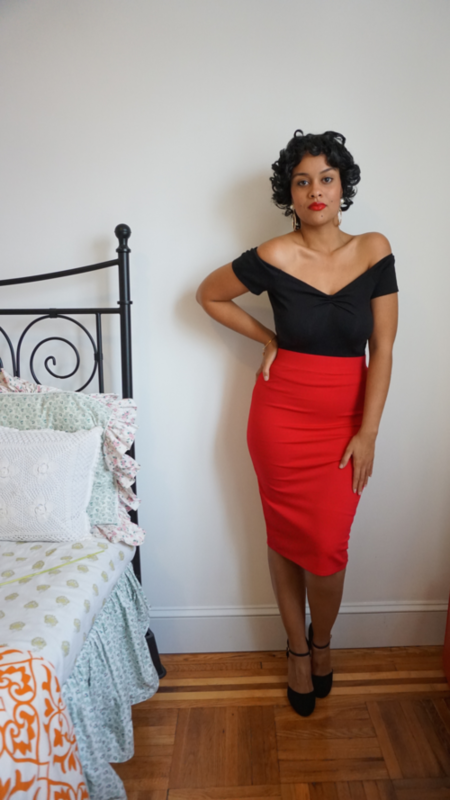 For this DIY I chose to feature Dorothy Dandridge as Carmen Jones. 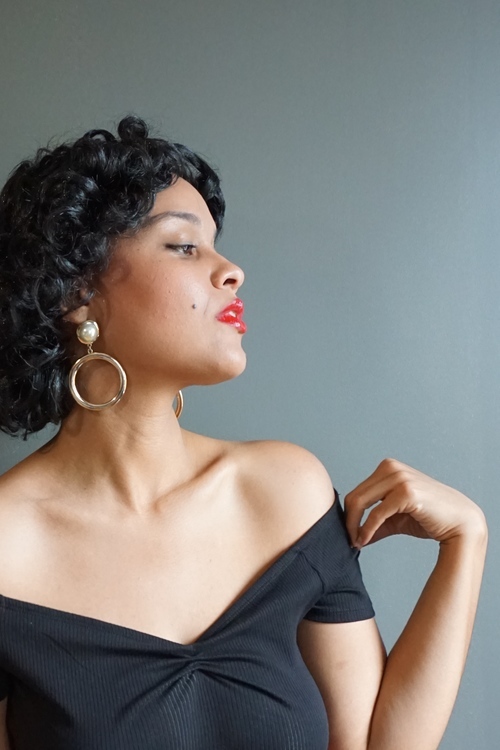 Dandridge is a classic icon who captivated me with her acting, beauty and sensuality as a woman. Photo: Krystle DeSantos To complete the look you’ll need what’s listed below. I linked to similar items you can also buy on Amazon prime. You can always reuse these things after! 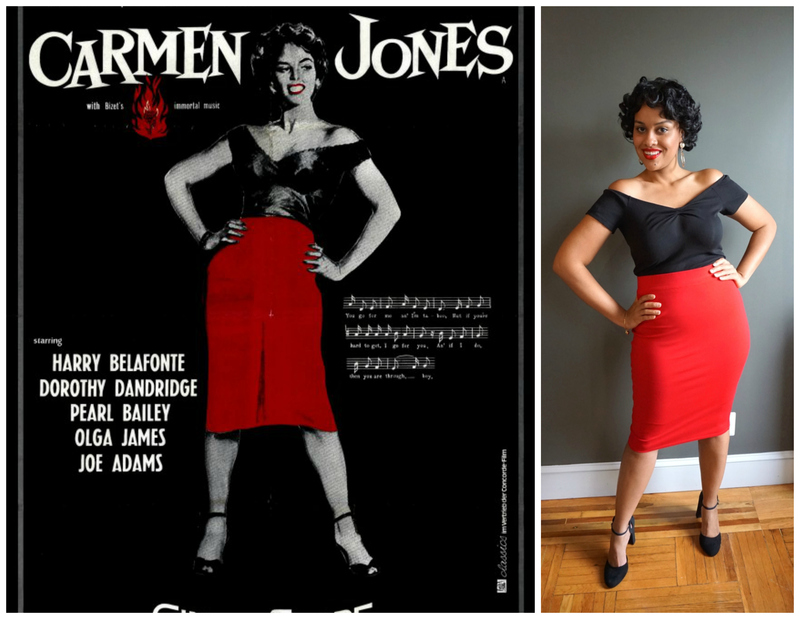 Let’s hear it for Carmen! 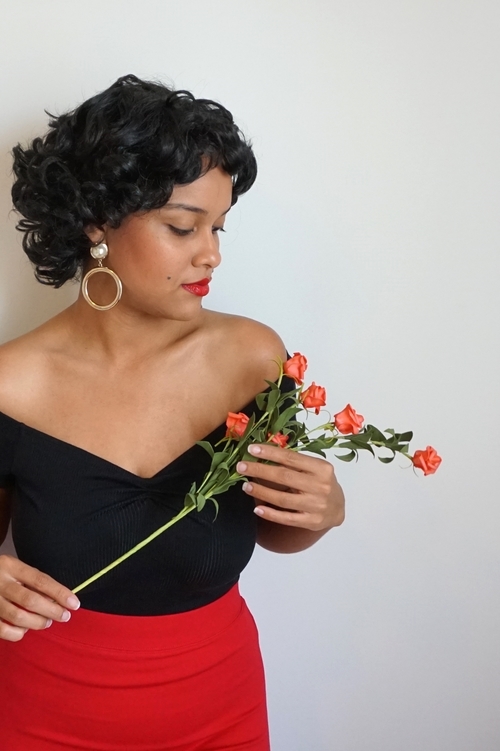 What last-minute costumes are you putting together for Halloween? Let us know in the comments below!